If you are interested in becoming an EMT in Texas, you will need to determine what type of EMT you wish to be and where you want to receive your training. There are three core levels of EMTs in the state: EMT-Basic, EMT-Intermediate and EMT-Paramedic. Each level has increasingly more duties and responsibilities and will require increasingly more training hours. As an EMT you will provide pre-hospital care to individuals with a wide range of medical conditions and injuries. You may be called to the scene of automobile accidents, crimes, natural disasters and large crisis situations. Be prepared to work in hectic, stressful and at times, even dangerous situations. Are you aware that some EMS calls may place you in danger? Are you prepared to work long shifts? Are you good at Math and Sciences? If you can answer yes to all or most of these questions, you may be ready to take the next step and look further into training. Do I Qualify for an EMT Training Program in Texas? Have an active CPR certification. Some colleges might also require you to hold your BLS certification. If you are enrolled in Associate Degree program, you will have even more courses. These can include general education studies. You may need to take college level Math, Biology, Psychology or Sociology courses and even English classes. You will likely have Anatomy and Physiology Courses, Medical Terminology courses and Pharmaceutical courses. 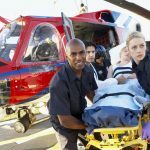 Where can I get EMT Training in Texas? There are many training programs throughout the state of Texas for EMTs and Paramedics. Let’s look at a couple examples. Training programs in Texas are often provided at Community Colleges, Vocational schools and some ambulance companies. Other training centers might offer these programs as well. Depending on your course, the program might last 4 months to 2 years. Houston Community College – has a few different EMT training programs with campuses in Houston and surrounding area. The college offers open enrollment for anyone who wishes to apply. Programs offered: Emergency Medical Services Paramedic Certificate is a 43-credit program with core instruction provided on: cardiology, emergency medical services operations, emergency pharmacology, cardiology. Students will be trained to provide pre-hospital emergency care. In addition to classroom instruction, they will receive clinical training. Advanced Emergency Medical Technician Certificate consist of 2 semesters and 17 credits. Students will receive an EMT-Basic refresher class in the beginning. The course will train students in areas of patient assessment, airway management, and trauma management in addition to field practice. Associate in Applied Science in Emergency Medical Services is a program where you will receive your paramedic certification learning the same skills taught in the Advanced EMT program. In addition, students will take general education courses to complete an Associate’s Degree. Students will have clinical rotations in addition to EMT field experience. Lone Star College System-has several EMT tracks of study for students wanting to train in Emergency Services. Programs Offered: EMT-Basic Certificate Program: This is a basic level EMT training program that consists of 144 hours of classroom instruction in addition to 80 hours of hands on clinical training. This program does not earn credits for students. But it does provide them with the hours needed to sit for the NREMT exam for state licensing. EMT-Intermediate Certificate Course: THe EMT-Basic course is required before taking this program. The intermediate program teaches students about trauma and airway management, emergency medicine and how to assess patients. Graduates of the course can sit for the NREMT-Intermediate 85 exam. EMT-Paramedic Certificate Course: This is a paramedic training course that takes about one year to complete. In addition to the traditional EMT training, students learn how to provide advanced emergency care and care for specialized population. Graduates can sit for the Paramedic National Registry Exam. Associate of Applied Science in Emergency Medical Services: This is a two year program that includes both EMS related instruction and general study courses for an Associate Degree. Students will have the same classes needed for the Paramedic Certificate Program. But they will also take classes like sociology, English and Anatomy and Physiology. Graduates can also sit for the Paramedic National Registry test. Program Offered: EMT-Basic Certificate Program: This program lasts for about 4 months and includes 17-18 credit hours. Students will have lecture and other forms of classroom instruction. They will also gain clinical experience at hospitals and ambulance services under direct supervision. Students should be prepared to learn how to provide basic -pre hospital emergency care support. Students must have their American Heart Association Basic Cardiac Life Support Certification before enrolling in the course. Graduates of the course can sit for the NREMT EMT-B competency exam. There are schools throughout the state of Texas offering EMT training courses and programs. You can likely find dozens of schools available for your training with options in most major counties and cities. Can I become an EMT without any formal training? No you cannot. All levels of EMT require some level of formal training. How long will my program take? This will depend on the your level of training and the program type in which you enroll. It often takes about 150 hours of study and from 4-6 months of instruction to become an EMT-B. You must finish EMT-B training before you can take an EMT-I course, which will also last a few months. Most EMT-Paramedic courses take 1-2 years to complete. Those requiring an Associate Degree will always take never 2 years of study. Can I perform any life support procedure necessary once I become an EMT? You can only perform procedures for which you were trained. 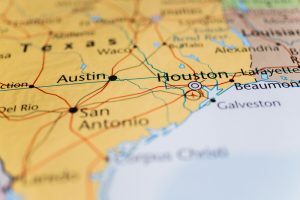 You may not perform techniques that are not within your scope of practice within the state of Texas for your level of EMT training. Will I receive clinical training in my EMT course? Yes you will Part of your training will be spent in the classroom and the test will be spent receiving clinical and field training in various settings. This can include working in the EMS field, at hospitals and with Ambulance companies. Is the job outlook good for EMTs? Yes it is. This is currently one of the fastest growing careers in the current job market. The need is expected to continue to grow through 2024 or beyond. You can find job opportunities with various types of employers. Prospects for Paramedics are particularly good. You will find that there are dozens of schools throughout the state of Texas offering EMT training programs. It is highly likely that you can find a program near where you live. Take your time to compare programs to find the one that best meets your needs. Consider the schedule for all courses and clinical rotations as well as the cost of tuition. Make certain that you will receive the level and quality of training you desire for your new career. Have all your pre-required tasks and documents ready before you start the process of applying for acceptance to a program.